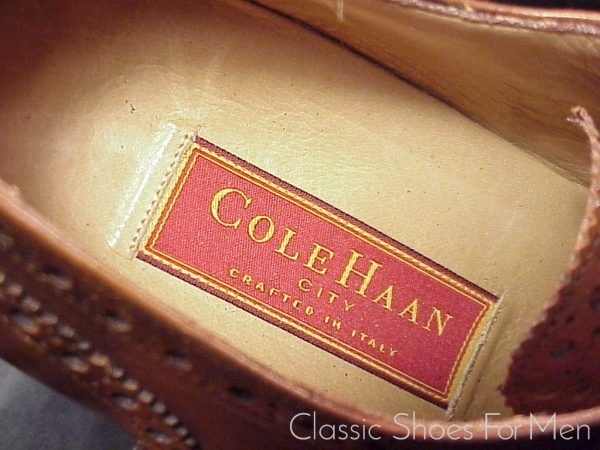 The unremitting downward trajectory of the Cole-Haan brand in recent history has only twice been arrested and then only momentarily by the inspired inclusion among their usual commonplace inventory of two superior imports. First, for a short period in the 1990s, Edward Green supplied a limited number of oxfords to the New York and San Francisco stores, and more recently Cole-Haan presented a line of Italian shoes and boots of extraordinary quality and beauty from an unnamed manufacturer. 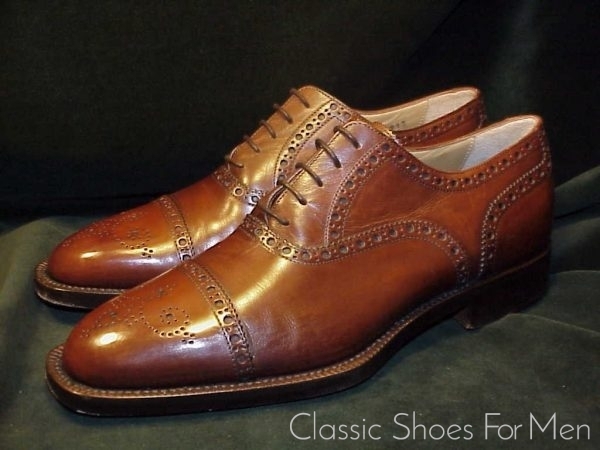 These immediately garnered a cult following among American collectors and were quickly sold out everywhere, in spite of their $500-800 prices, more than double Cole-Haan’s usual prices at the time. 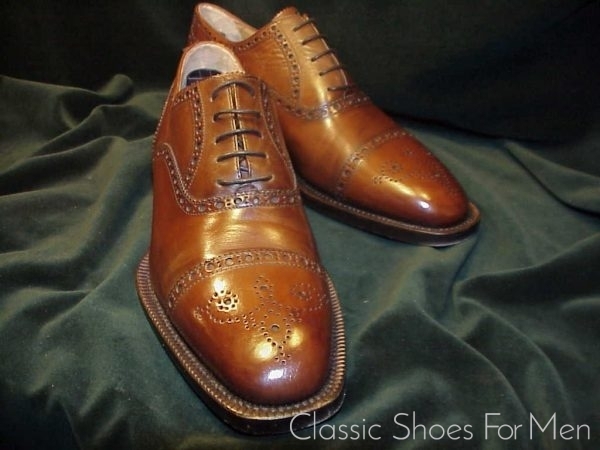 The internet still has a dozen websites showing the shoe…all of them long sold out. 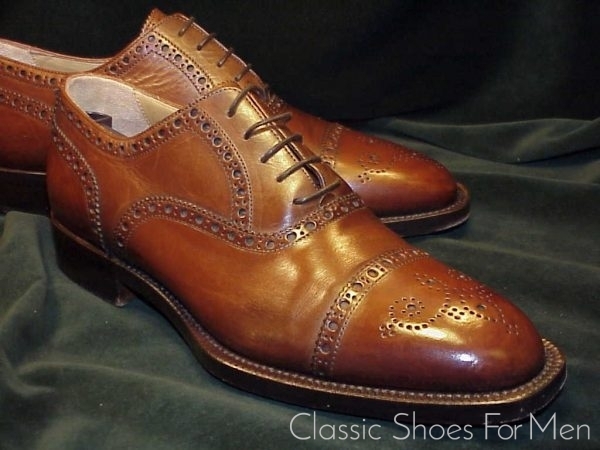 The shoes in question were the Trafton (in polished calf), the Werner (in Scotch Grain) and lastly, the present shoe, an even more dramatic departure, the “City”. 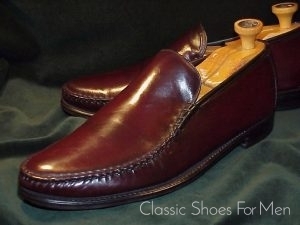 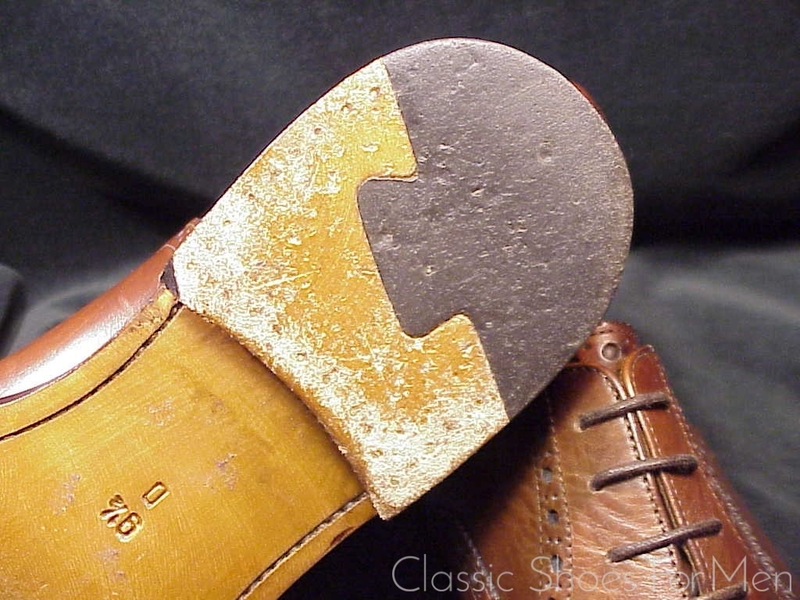 This one is distinguished by a radical proud-standing spade shaped welt, a throwback to pre-war shoemaking. 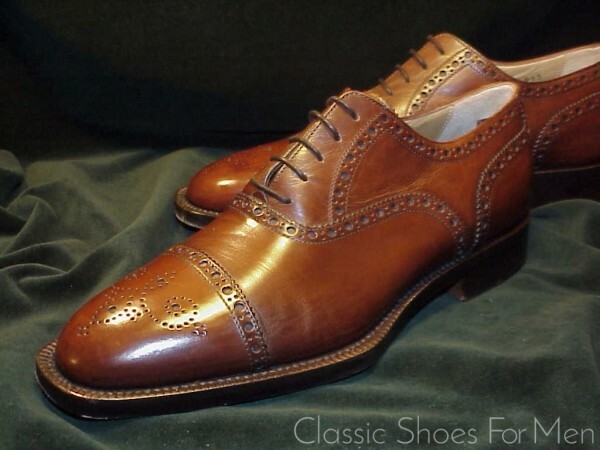 The somewhat larger than usual punching, fore and aft, set off by the medallion of the cap make this a most striking shoe, one that could be confused with a bespoke model, while remaining just withing the bounds of the classical. 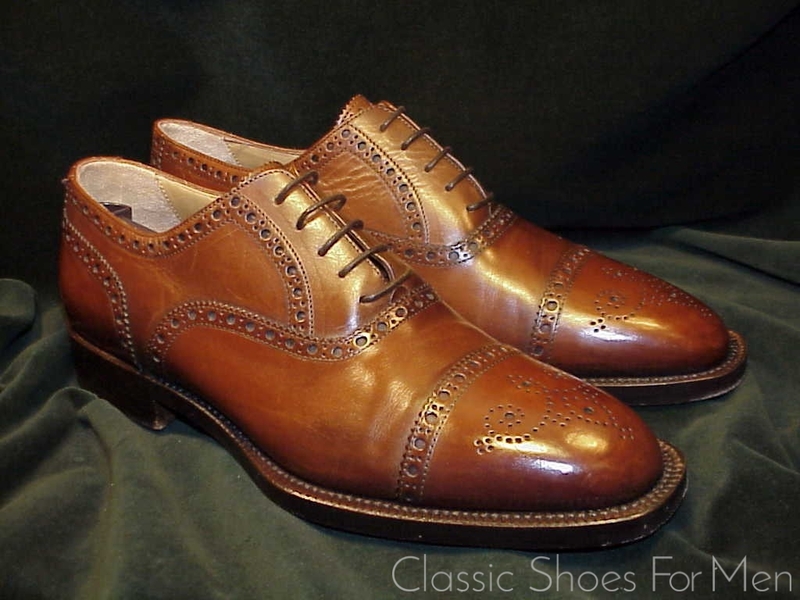 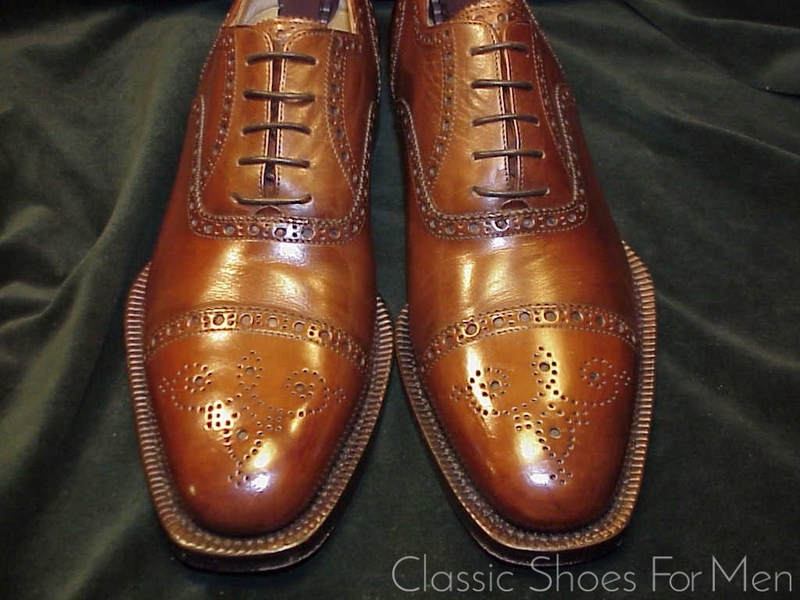 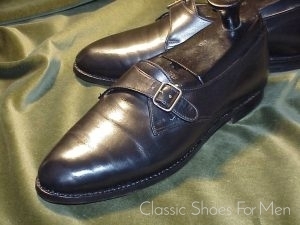 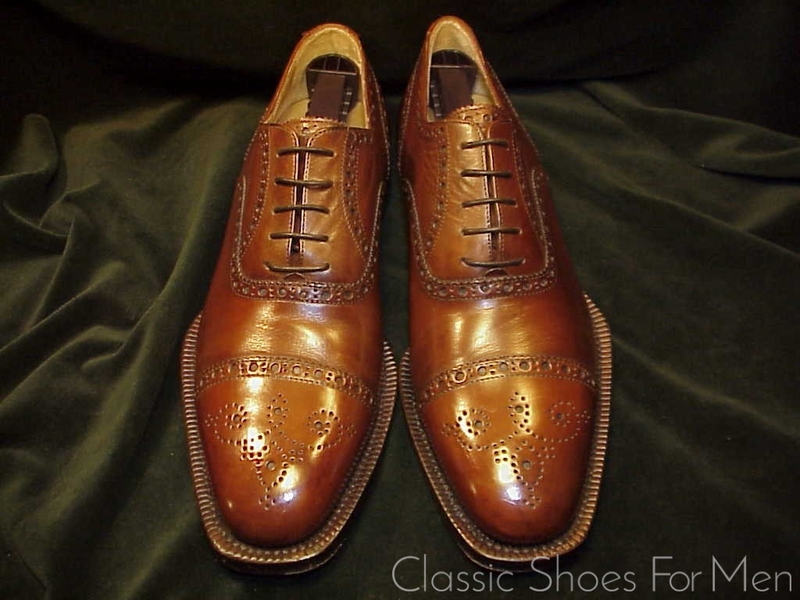 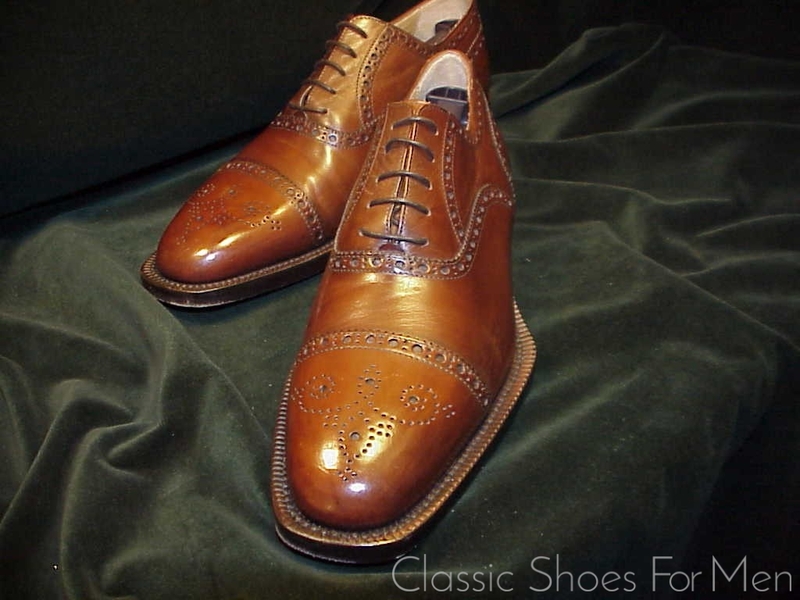 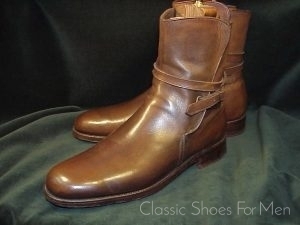 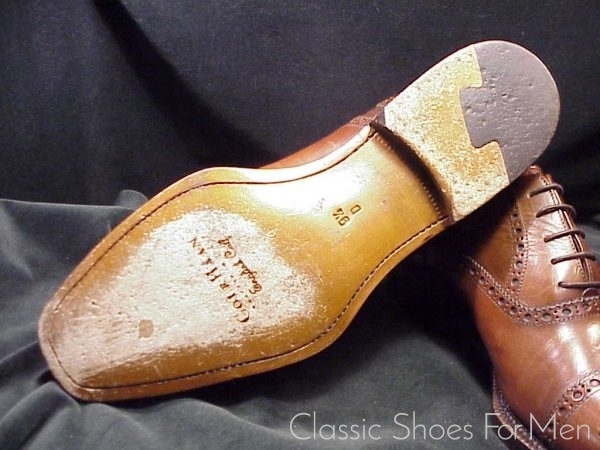 The quality of the leather, advertised on the sole as “English Leather”, whatever its provenance, is indeed a choice grade of calfskin in a lovely uniform brown. 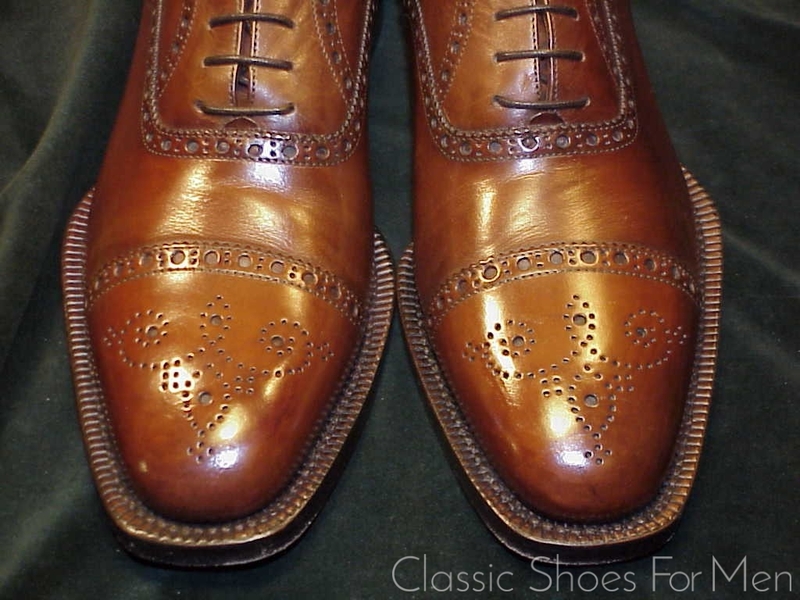 As stated, stylistically it harkens to the first half of the 20th century but its spectacular sole has no exact predecessor; it can proudly call its form its own. 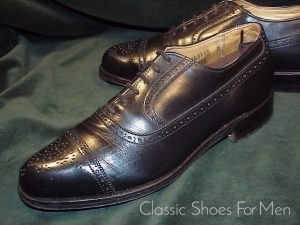 US 9.5D.....European 42.5D......K 8.5E, for the medium width foot. 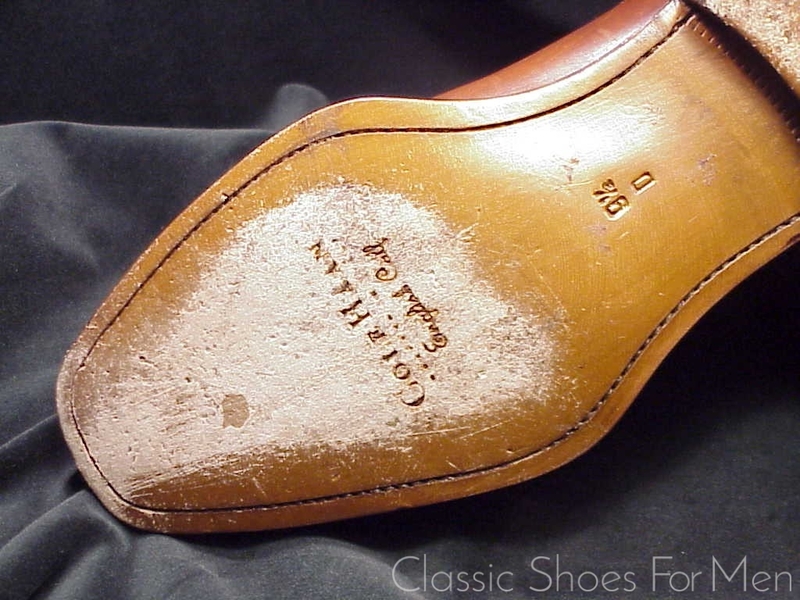 A store model, thus like new.